Chinese-based automotive company - Techrules - pulled the covers off its first series hybrid supercar at the 2017 Geneva Motor Show. The ‘Ren’ is the first production vehicle from the automotive research and development company, and is powered by the company's own proprietary Turbine-Recharging Electric Vehicle (TREV) technology. The Techrules-developed series hybrid powertrain delivers ‘unprecedented levels of efficiency and performance, and an ultra-low environmental impact’. The TREV system is available in a variety of configurations, available to tailor the powertrain to the exact requirements of the customer. The flagship version has a battery capacity of 25 kWh, with two motors at the front and four at the rear – it delivers maximum power of 960kW (1,287 hp/1,305 ps) with a range of 727 miles from 80 litres of diesel (NEDC). An ‘aerospace-inspired’ design is optimised for aerodynamic efficiency, with a modular three-cockpit that has been crafted by world-renowned automotive designers, Fabrizio and Giorgetto Giugiaro. 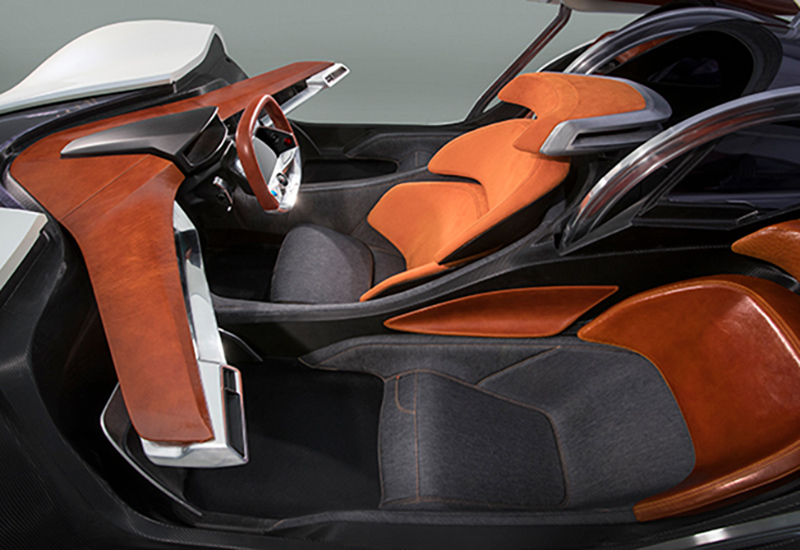 A distinctive fighter jet-style canopy rises up to enable occupant access while futuristic elements include front laser headlights and ‘star-burst’ reversing LEDs. The Ren features a lightweight chassis, designed and constructed by motorsport specialist, L.M. Gianetti of Turin. The performance-focused modular layout allows the car to be configured with one, two or three polycarbonate canopies: one for track use by only the driver, two for the ‘Le Mans’ configuration with a single passenger, or three to accommodate the driver and two passengers. Inside, the wraparound cockpit and passenger pod spaces are finished using the finest Italian leather (cuoio italiano and alcantara), with seat cushions finished in a denim produced by the high-end designer clothing company, PT (Pantaloni Torino). On board technologies includes advanced driver assistance systems (ADAS) and a variety of driving modes. Inside the driver’s cockpit, the centre of the steering wheel houses a self-levelling screen that displays performance-focused instrumentation while rear-view cameras feed three monitoring screens. Techrules says in Chinese traditional culture, Ren is the very first of five values that every Chinese person is born with to contribute to society. Ren stands for humanity and kindness, and was chosen for the first Techrules supercar as it ‘reflects the spirit in which many esteemed scientists, engineers and designers have dedicated themselves to the project’.